Ethnic motifs, embroidery crochet, fringes and a cascade of metal, adorning the feet and the lives of women always fashionable, even when they are on vacation. 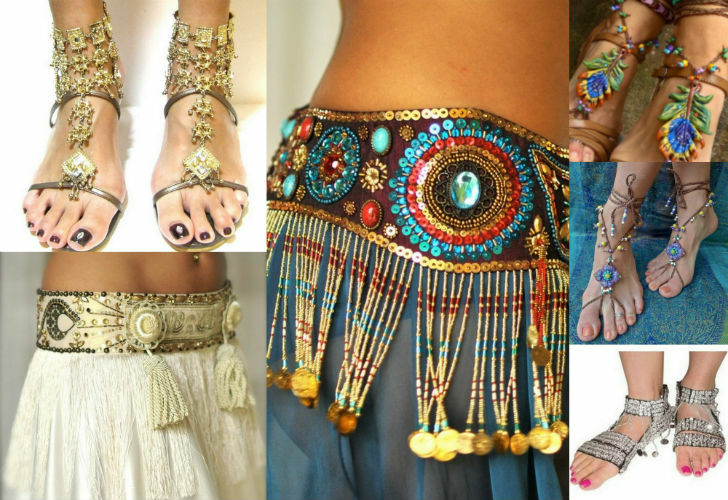 Then belly dancing accessories are the new trends for summer 2014 spotted on the beaches. Slave booties and tinkling belt, are renewed proposal from the East.